I'm so excited to show you all the amazing brooch I was sent from Jasper Jewellery, an Irish based online jewellery retailer that have a variety of well priced earrings, necklaces, bracelets and brooches as well as a Swarovski Crystal collection. 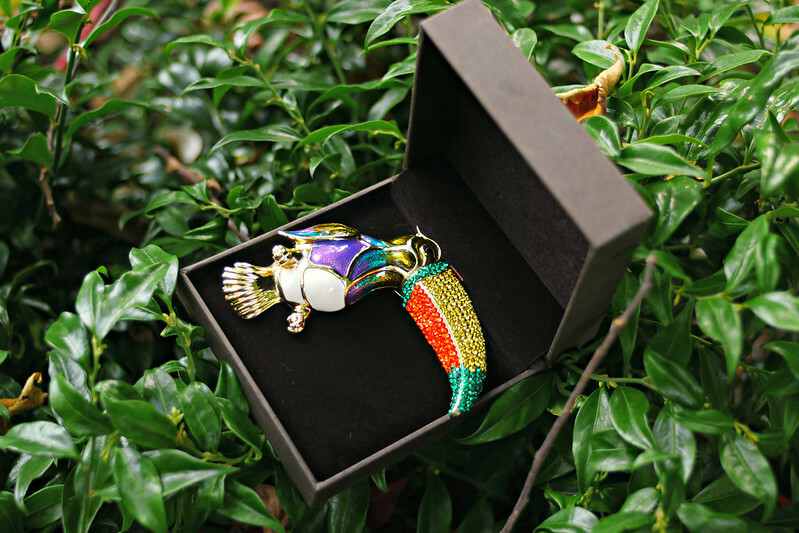 I was sent this gorgeous Swarovski Toucan brooch which I cannot wait to wear on my fur coat when it gets colder paired with some red lipstick. I know this brooch won't be to everyone's taste but I adore it and it really stood out to me straight away. 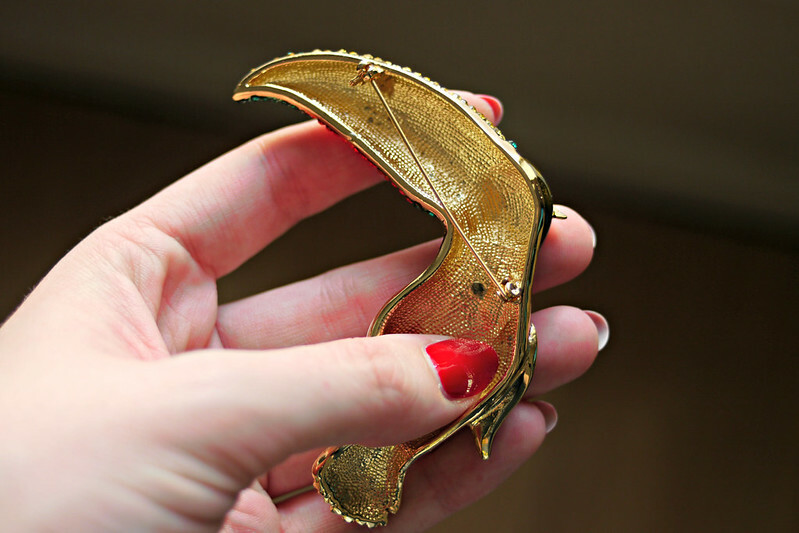 This one is no longer on the site, but there is a very similar Parrot brooch that I also love. The quality of the brooch is excellent, it's quite heavy and substantial which is why I'll wear it on a thicker fabric like my fur coat. 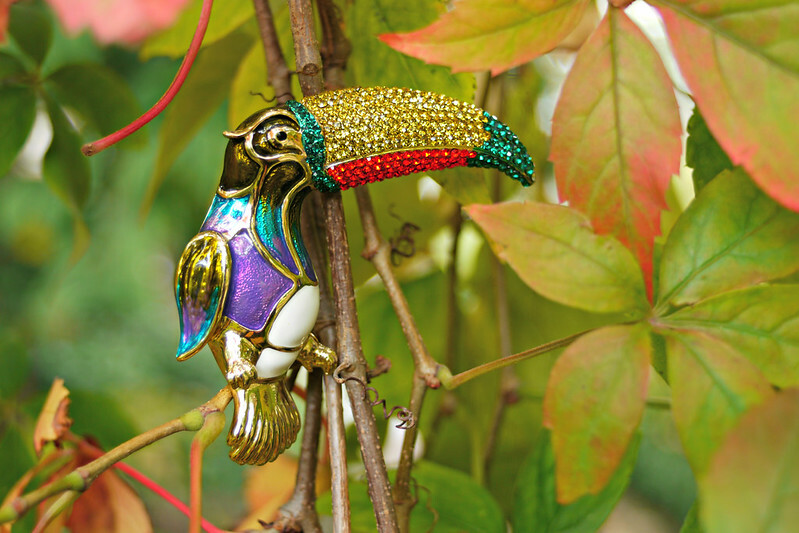 I love the Swarovski encrusted beak, it really sparkles in the sunlight. Sometimes a statement brooch is the perfect accessory for the colder months to add some interest to a coat when the rest of your outfit is hidden away. I have a collection of brooches that I wear all Winter on my coats and I'm delighted to add this to the collection. Jasper Jewellery have free worldwide shipping and free gift wrapping on all orders which is great for ordering gifts coming up to Christmas because it takes away the hassle of wrapping things. 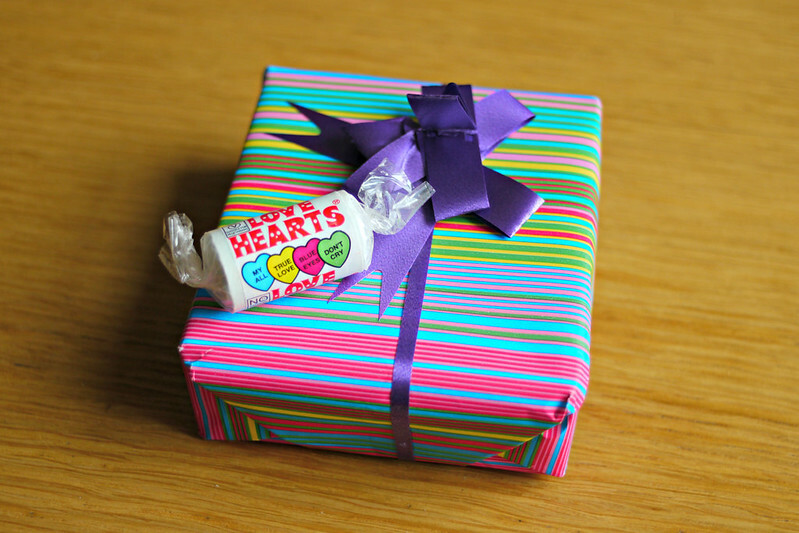 Keep on eye on the Jasper Jewellery facebook page for competitions and special promotions. What do you think of my little friend? That brooch is adorable, Emma! A real statement piece and perfect to brighten up the drab winter months. I think it's beautiful, Emma! The detailing is impressive and the color combo very pleasing to the eye. I can't wait to see it in context as part of one of your outfit posts. I hope you're having a terrific week, dear friend! Thank you Tom, it will definitely be featured again in an outfit post, I look forward to wearing it throughout the Winter! I hope you're having a great week too! Haha! I wouldn't do that to you Polly! ;) Yes I agree it will be something I can wear for years! Love this, I ordered an animal type piece too, this is gorg! Ooh! Hope I get to see your piece too!